Make stapling a little less boring with one these electric staplers for your office. The electric stapler is now the norm in many home offices and professional environments. 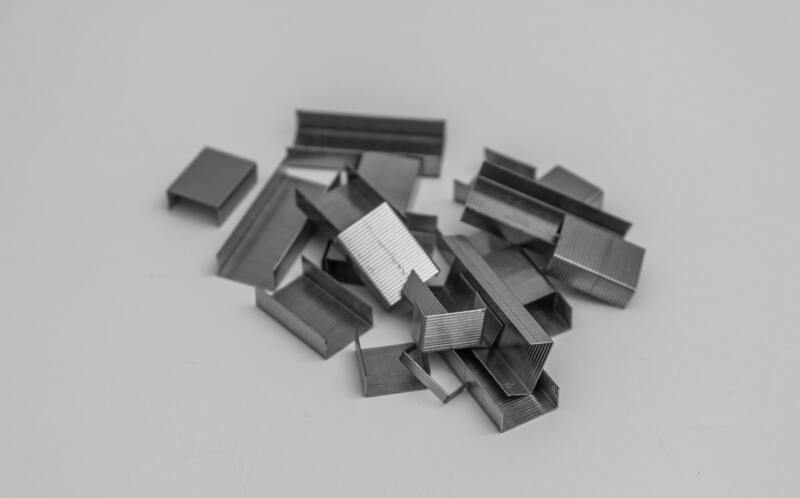 These products can vary widely in page capacity, strength, and of course, price. While some electric staplers can handle up to 90 pages, others will do better with 12. We’ll go over some good reasons to switch to an electric stapler from the outdated manual design, then cover our top four favorite picks. Using an electric stapler will save you valuable time that you could be dedicating to getting more work done. Not only is a manual stapler inefficient, but the repetitive motion can lead to hand fatigue and soreness. Most electric staplers can handle more pages at a time than manual models. While capacity will vary depending on the quality of the stapler you choose, some can handle up to 50 pages or more. Stapling documents by hand makes it easy to line the pages up wrong or accidentally put the stapler on crooked. An electric fastening tool, on the other hand, will ensure better accuracy. Another benefit to switching to an electric stapler is the variety of products there are to choose from. There’s an option out there to suit every need, so you’re guaranteed to find a good choice for your home office. Choose between portable devices and outlet staplers, along with different page capacity options. Below, we’ll review our some of our favorite electric stapler options. Each has a good track record with users and has proven to be a reliable product. Before you make your choice, think about how often you’ll be using the tool and how many pages it needs to handle. Also consider the type of stapling you usually do. Are you looking for a heavy duty large capacity stapler, or a more portable option? The EX-25 Heavy Duty Stapler comes with an AC power cable and staples, so it’s ready to use immediately. This product can handle up to 25 pages at a time. It has a sleek design and won’t take up much space in your office. With a manual stapler, trying to staple stacks of sheets at once can be annoying and actually hurt your hands. 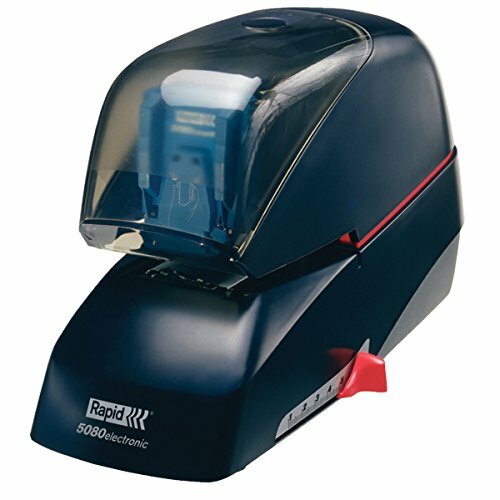 Switching to a device like the EX-25 Automatic Heavy Duty Electric Stapler can make the experience of fastening stacks of documents relatively simple and painless. You won’t have to worry about stapling crooked or the staple not piercing all the way through the paper with this high-powered tool. You can use this both with outlet power and batteries, which makes it easy to bring with you as needed. The Swingline Portable Electric Stapler is a convenient option that you can bring with you on business trips or leave in your home office. It uses a precision adjustment guide to ensure you staple your pages not only quickly, but with accuracy. This tool has a compact, sleek design that saves desk space and fits in well with most office styles. This option has a useful dual power feature which means you can use it with outlet power or six AA batteries (not included). 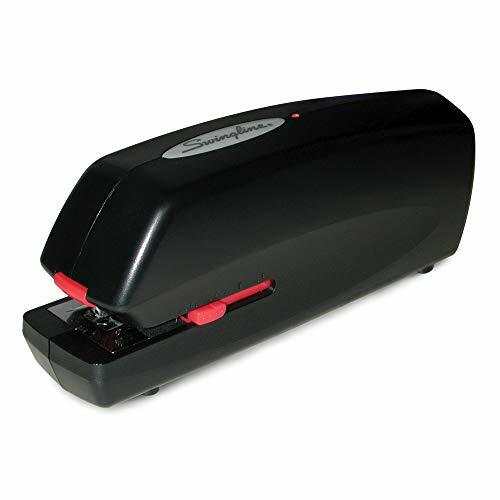 The Swingline Electric Stapler can handle up to 20 pages at a time and has a low staple indicator that lets you know when it’s time to refill the staples. 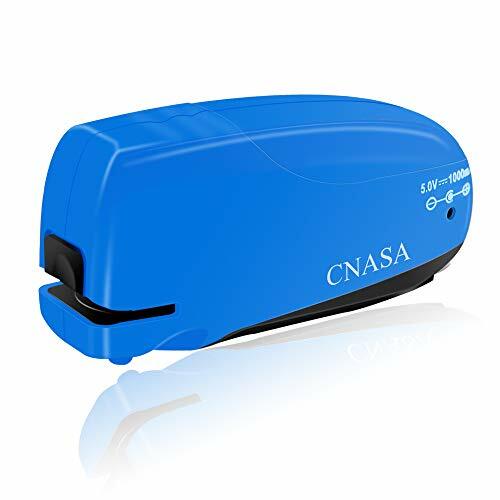 The CNASA Electric Stapler is a smaller capacity portable tool that comes with a USB power jack. You can plug it into the USB dock on your laptop and use it at home, at school, or in the office. The CNASA Electric Stapler has a built-in staple remover, so you don’t need a separate tool to fix your stapling errors. The staples are easy to reload in between uses and the curved body of the tool is ergonomic and comfortable to hold. The CNASA Electric Stapler is super small which makes it easy to fit in your briefcase or handbag when you aren’t using it. It’s a good choice for people with a limited desk or drawer space for their office accessories. In case the CNASA Stapler jams, it’s easy to fix with the press of a button. Keep in mind that this product can only handle up to 12 pages at a time, and is better for smaller offices or home offices. 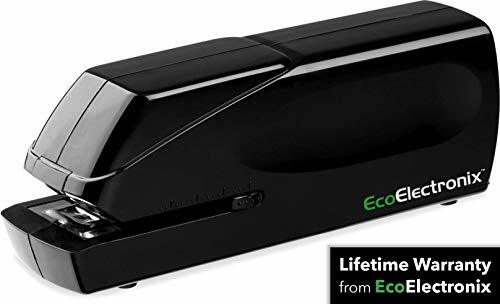 If stapling is a large part of your business and you’re in need of a super heavy-duty, high-quality solution to that, consider the Rapid 5080e Professional Electric Stapler. The cartridge holds a whopping 5,000 staples and the stapler is guaranteed to work for 500,000 staples. You can staple up to 90 pages at a time with this tool, and it performs this function more quietly than other staplers. The Rapid 5080e Professional Electric Stapler uses Flat Clinch technology to bend the staple flat, which holds the pages closer together. 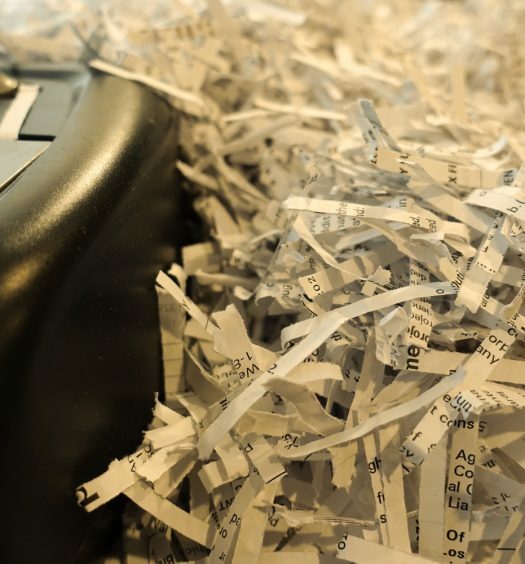 This leads to a reduced height in your stacks of papers, which can add up and save some serious space in your office. Given the quality of this product, you can expect it to last a long time and handle big jobs. The Rapid 50803 Stapler is recommended for offices with big stapling jobs needed on a regular basis. 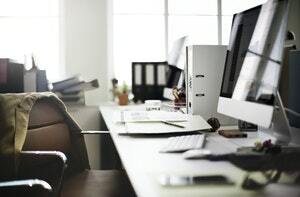 As you can see, adding an electric stapler to your work or home office can save you plenty of hassle, reduce hand strain, and leave you more time for productivity. 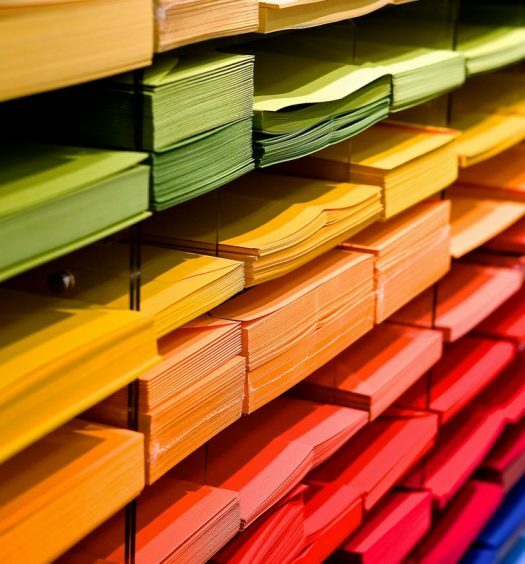 Remember to identify how many pages you need to staple at a time (on average) and choose a product with the appropriate capacity. Happy stapling!